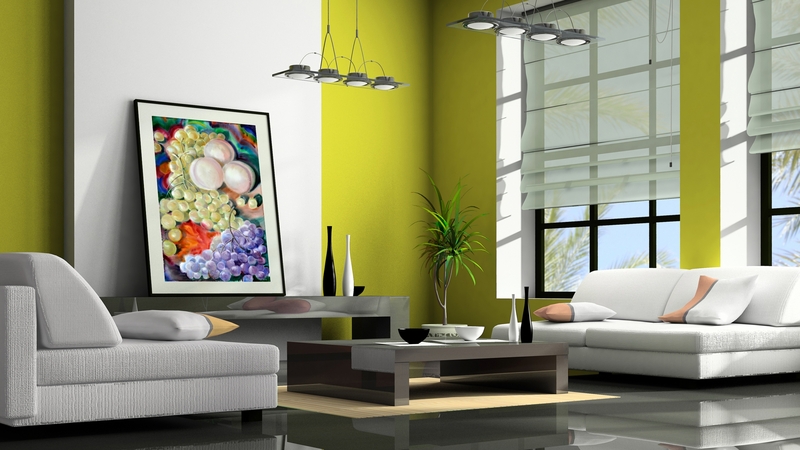 On this large-format painting, the view immediately stops at the glowing, velvet peaches. Peach is a symbol of youth and immortality. The fruit of the peach symbolizes the continuous process of renewal of life. In Japan, as in China, the peach tree is the Tree of Life. Peaches in the painting as alive, with velvety skin and you can imagine their tender smell and juicy taste. 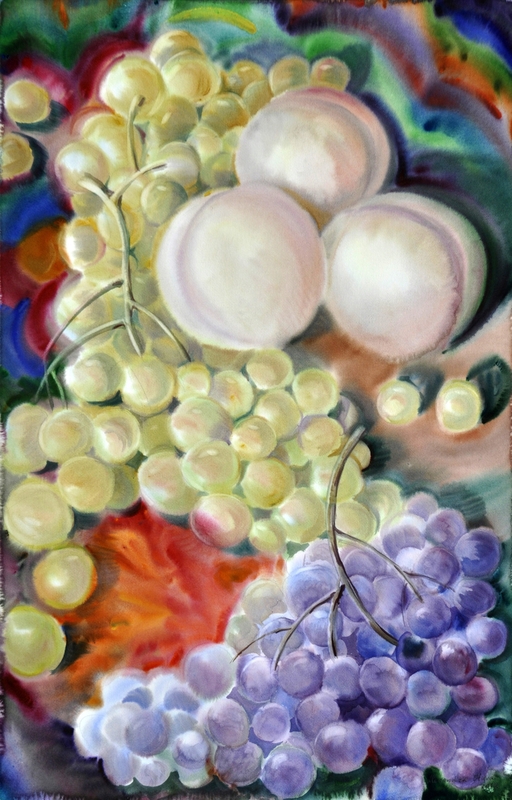 Bunches of grapes and bright background frame them. I remember the paintings of Sezan, he liked to paint this fruit in his still-lives paintings.